Canadian smoker.... That's an awesome photo. Mule rider..... Nz has great salmon and deer as well. Did you know that? We get lots of visitors to fish our rivers and hunt deer. Here is us. 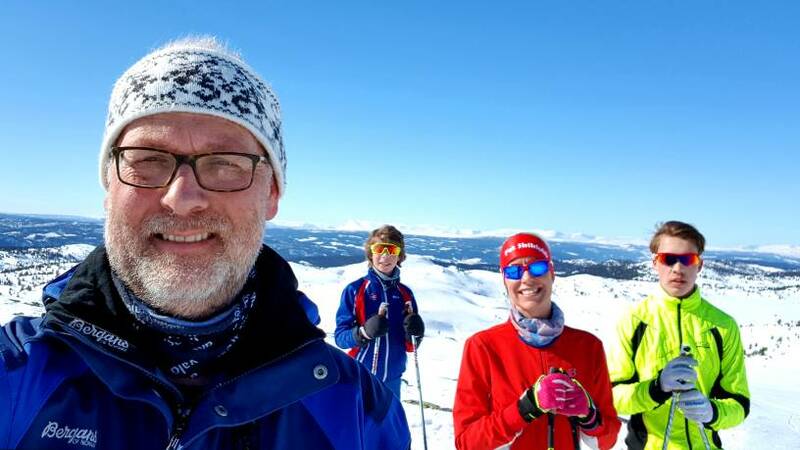 My wife, our two kids and me out doing cross country skiing up in the mountains (which we do as often as we can during the winter). The dog is our flat coated retriever Fonzie. Named after the main character in the tv show happy days. During the summer we go out with our boat as often the weather permits. Last edited by Joernolav on Sat Nov 03, 2018 9:31 am, edited 1 time in total. Great Country and Great Looking Family, Sir. As far as the Furry Four Legged Family Members goes. OldUsedParts wrote: Great Country and Great Looking Family, Sir. Yeah. That's the character. Funny guy, just as my dog. Like here. No more beer for dad. 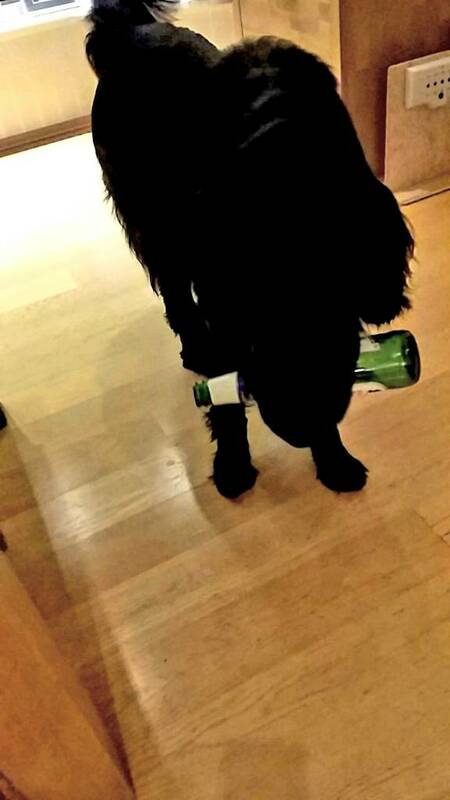 Now, that’s my kind of retriever. Greetings to our friends in Norway. Boots wrote: Now, that’s my kind of retriever. Well, I guess I'll show you one. My wife and I having a cold Lone Star and glass of wine at Angle's Icehouse in Spicewood, Texas.